City of Beautiful Churches. Derby City. Falls City. River City. 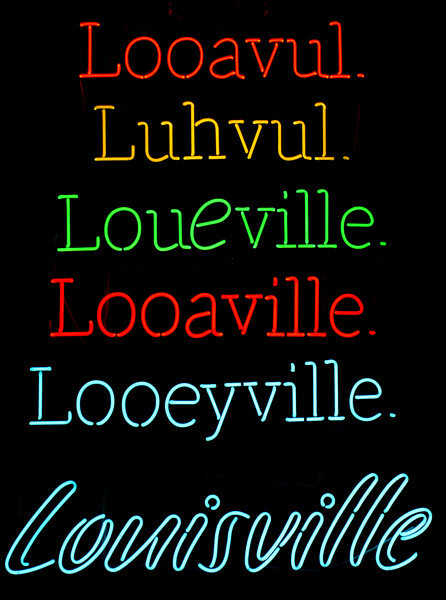 The Ville. Gateway to the South. No matter what you call it (or how you pronounce it), Louisville is a city as compelling and diverse as its myriad names suggest. Since its founding in 1778, Louisville has always been a place between. Geographically and culturally, Louisville is between North and South; between East and West. Interestingly enough, it is because of this Louisville has evolved with an identity all its own. I’ve lived in some amazing places before joining Luckett & Farley this past Spring. I grew up on the balmy beaches of Florida’s Sun Coast - was educated amongst the moss-dripping oak trees and lush squares of Savannah’s historic downtown - spent the first half of my career navigating the forest of Manhattan’s skyscrapers - even had a brief love affair with the island of Oahu. However, none of those experiences - or places - can compare to this remarkable, architecturally significant, character-filled city. If asked to choose a single passion in life, it would easily be architecture and design. It feeds my soul. Here, our built environment is as rich and textured as any place I’ve ever visited. Louisville has more than its fair share of remarkable places, neighborhoods, and buildings. We also have a wealth of lush green spaces that rivals any city, anywhere. Home to 18 Frederick Law Olmstead-designed parks, our urban good fortune is almost unfair. Almost. What has me most intrigued is the city’s stock of mid-twentieth century modernist architecture. Hands down, this is my favorite era of design. Interestingly enough, the breadth and depth of examples here in Louisville have gone largely under-discussed (and under-celebrated). Perhaps that is why it means so much to me. The era too often gets lost when its lessons are so profound. Its a brief, yet prolific time caught between then and now. I guess, in a way, we are always between. Today, we have to do more with less (of everything). We must be innovative. We must be good stewards of the environment. The challenges before architects and designers are unparalleled. However, if we pause just long enough, all of those between moments will jump out at us and can inspire us. I'm excited to see how this historically significant and culturally relevant city will inspire me as I add to its already intricate fabric.